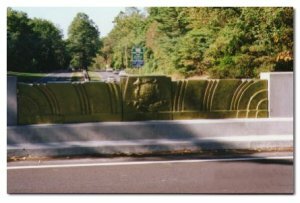 An original concrete bridge parapet, circa 1937. The reconstructed parapet. SCI's FRP and/or EPS custom formwork and falsework were used to create this beautiful ornamental parapet at this historic bridge structure. 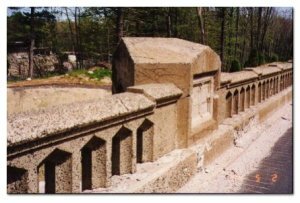 Custom FRP Forms were fabricated by SCI to create this ornamental parapet on a historic bridge structure. The concrete was "metalized" after curing. These beautiful concrete columns were formed with SCI's EPS form inserts, custom fabricated to clients design. 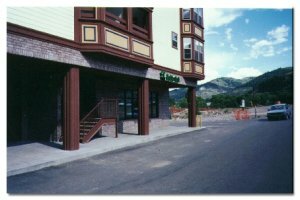 SCI is informed of the client's preferences of structural form system to be used for the columns, and the EPS form inserts are manufactured for perfect fit, which results in almost any desired look imaginable in concrete. 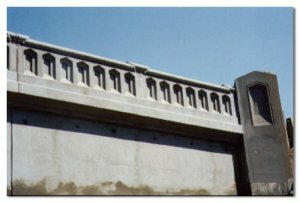 EPS may be used for many other architectural and/or structural concrete formwork such as bridge barriers and parapets, ribbed form liners, air flue box outs, mechanical and electrical box outs, cornerstone dates, etc.